Meal replacement shakes for weight loss have a very strong presence and it doesn't look they're going anywhere anytime soon. You see them on television, at your local store, and you may even have a place in your city that sells healthy shakes and/or smoothies as their main item. Now that everyone has the information from the previous section in their head as the base of this discussion, we’ll move on to when meal replacement shakes come in handy. 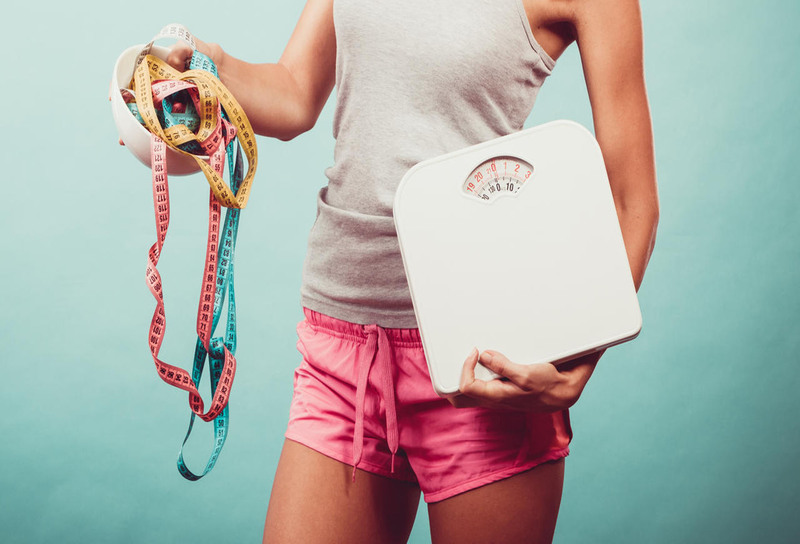 First, not eating is not the way to go when it comes to losing weight. You still need to eat, and you need to eat well. Weight loss shakes can help you avoid starving yourself, eat less unhealthy fast food, snack less, get the nutrients and calories you need, and more. All of those things can contribute to the bigger picture of your weight loss goals. When to drink meal replacement shakes is simple. You can drink them in the morning, before meals, after meals, before exercise, after exercise, and before bed. This information will most likely be listed on the meal replacement shake you decide to go with and so will the serving size. One thing to note is that there are many options when it comes to flavor. Your favorite flavor or a flavor you like has a good chance of being out there in the form of a meal replacement shake, but you should still beware of bad tasting shakes. A great taste is not guaranteed just because a flavor you like is attached to it. You should also watch out for powders that are hard to mix. Lastly, meal replacement shakes are not suited to replace your entire diet. That would be great, but that’s not the case. 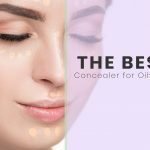 You should not be using them like that unless you have tons of information on what that would do to your body, have talked to a professional perhaps, and know what you are doing to the fullest extent that is possible. 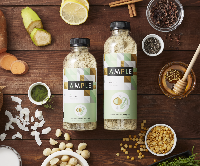 Ample meal is a creamy, frothy, optimal meal in a bottle that helps you promote and maintain long-term health benefits for your body. 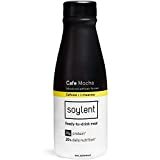 You get a balanced breakfast and morning coffee in one bottle of Soylent Cafe. There are 3 flavors and a variety pack. Containing an optimum balance of carbs, proteins, essential fats, fiber, and all 27 essential vitamins and minerals, Huel is a complete and convenient food. They claim to have revolutionized meal replacement powders with their Metamyosyn protein blend, which they also say is a great foundation for athletes looking to improve their health. You'll find vitamins and minerals like calcium, Vitamin B12, and potassium in a bottle of Iconic protein drink, which holds 130 calories. 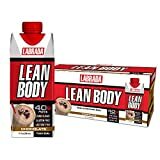 Labrada lean body, which is ready to drink, formulated with 40 grams of high-quality protein and zero sugar per serving, can help you reach whatever goal drives you. 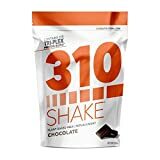 With the taste and ingredient list emphasized, 310 shakes help you get some results while keeping your stomach satisfied until it's time to eat again. 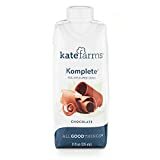 Kate Farms says their shakes are made from the highest quality ingredients, formulated to digest and absorb easy to maintain vitality. Mild sweetness, hints of vanilla and cinnamon, and cold water or your favorite milk. That sounds pretty good and Ample stands by a taste and quality guarantee if you don’t agree. Ample Meal Original formula is BPA free, Gluten-free, and Soy free. It is also Non-GMO and excludes artificial sweeteners and flavors. 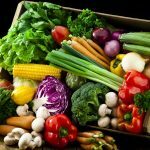 Their formula combines fiber, organic greens, healthy fats, complete proteins, and a large amount of probiotics that all go towards bettering your health and weight loss goals. Soylent is probably the most common meal replacement on this list, and it’s probably the only one a lot of you have ever heard of if any. Cafe Soylent comes in three flavors. Those 3 flavors are Mocha, Vanilla, and Chai. There is also a variety pack that, which contains all 3 flavors. One bottle of Soylent has 400 calories, and that's great when compared to other meal replacements. In addition to that is 20 grams of protein and a strong cup of coffee worth of caffeine. This Huel starter kit comes with the things you see in the picture. 2 bags of powder, the scooper, shaker, and a booklet with tips. Each pouch contains 3.85 pounds of meal powder, which is worth 7,000 calories each. Huel powder is made from real food. Flaxseed, oats, sunflower seeds, pea, and rice protein are all in the blend that makes up the powder. The Glycemic Index of Huel is very low at 27. In English, that means the carbohydrates in Huel have a low impact on your blood glucose levels, which is good. Feel free to do a few minutes of research on Glycemic Index. Competitive price for how much powder you're getting. This has double or more of some of the other meal replacements, which means you should compare the prices accordingly. Options in taste/variation. There's Vanilla, Gluten Free Vanilla, Gluten Free Unflavored Unsweetened, and Unflavored Unsweetened. Met-Rx’s meal replacement targets athletes and people with higher fitness goals, but does not exclude everyday people. It has the protein you need for your day, 25 essential vitamins and minerals, including 90% of the calcium you should be getting on a daily basis. 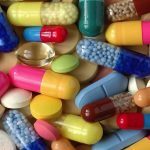 There are some long time users in the picture who have been using Met-Rx meal replacement for years, which is excellent for those of you who need or want that extra trust and longevity in a product. You get 40 packets of powder, which you drink 2 of in a day for the best results, but you can drink 1 in a day depending on your goals and/or if you are pairing it with something else you're taking.. There is also a smaller box available that contains 18 packets. Each bottle of Iconic Protein Shake has 20 grams of premium protein from Grass Fed New Zealand Cows along with 3 grams of sugar and 4 grams of fiber. Iconic is Keto, Paleo, and Diet Friendly. Their natural milk protein goes without hormones or antibiotics, are non-GMO, free of pesticides, soy, gluten, lactose, artificial sweeteners, and other artificial ingredients. Even though the 12 pack has a better value than the 4 pack, it could be a benefit for those of you who don’t want to commit to the 12 pack to get the 4 pack to start. The flavors are Chocolate Truffle, Vanilla Bean, Golden Milk, Coconut Matcha, and Café Au Lait. Labrada Lean Body Protein Shake boosts your metabolism and the recovery process of your body from exercise. It contains 22 vitamins and minerals and the essential nutrition for your day. It's also free of lactose, gluten, and sugar, which is excellent for those of you with allergies. One of the most important things to note is that Lean Body Shakes help to curb your food cravings and stabilize your blood sugar. Lots of flavors. Chocolate, Salted Caramel, Cinnamon Bun, Cookies & Cream, Vanilla, Strawberries & Cream, Cafe Mocha, and Bananas & Cream. 310 Meal Replacement contains Tri-Plex proteins, which helps to control your hunger. The 15 grams of Tri-Plex proteins help support lean muscle development partially due to Brown Rice Protein, Hemp Protein, and Pea Protein. 310 Meal Replacement is Glucose Free, Soy Free, and Sucralose Free. It also has 17 vitamins and minerals to help support your health all the way around. Flavors include Chocolate, Salted Caramel, Strawberry, Vanilla, Vanilla Chai, and they have a starter pack that has one bag of Chocolate and another bag of Vanilla. With the taste being emphasized, this variety of flavors could be a big part of what helps you with your weight loss goals. Richard and Michelle Laver founded Kate Farms to save their daughter Kate, who has cerebral palsy and is thriving today as far as I know. Their shake has 16-18 grams of plant based protein, free of gluten, dairy, soy, corn, and is Non-GMO project verified. It also contains 35% of 24 essential vitamins and minerals. With options of Vanilla, Coffee, and Chocolate, one or all of which will hopefully be to your liking, their shake has 290 calories and a good amount of fiber to keep you satisfied while flushing those toxins out of your system. Let’s go over a few things and then we’ll wrap this up. It seems to me that one of the most important things to consider about meal replacement shakes is the taste. Do not look at this as not that big of a deal unless you are a person that can easily get over the taste of something like this. What might be the best thing I’ve ever tasted in my life might be the worst thing you’ve ever tasted in yours. It's tough to figure out which shake will taste the best for you, but I do have some advice. First, you need to keep in mind that no meal replacement shake is going to taste great to everyone, so loosely looking at reviews isn't the most solid way to get an idea of the taste. I do think you should pay attention to when a shake has a lot of reviews and somewhere around 20% or less of them are the negative ones, which is a great sign. Another thing you can do is contact the seller you’re thinking about buying from and see if they’ll send you a sample so you won’t have to buy a bunch of them without knowing if you’ll like the taste. You should also contact them to see if they have a money back guarantee or anything like that. The next decision you might be making is between powder and the liquid that is ready to go. This isn’t the biggest decision to make, but it might end up being something you care about. If you get the powder, you should be able to have your drink ready in a few minutes, but you might experience some difficulty with mixing it. If you get the liquid, your drink is ready anytime. 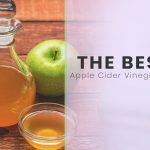 The liquid might seem like the better option in this sense, but it doesn’t stop there since that’s not the only thing to compare. If the taste is good and you don’t have to do any mixing though, that could be great for you. You can also mix your meal replacement shake with other things like bananas, peanut butter, and yogurt. 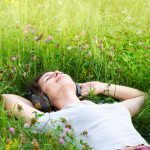 Other examples of these ideas are sometimes added to the listing of the shake and are all over the internet. Well, it’s time to wrap this up and go our separate ways. Meal replacement shakes are great, and there are many options to choose from. They can help you out with your weight loss goals in ways you can only truly understand once you try it for yourself. 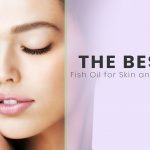 I hope this guide has made it easier for you to pick which one you’re going to start with or has guided in the right direction. There isn’t a whole lot of deciphering to do, but it may seem like there is. It’s pretty simple once you start looking at the different shakes and the health benefits that each one offers. Once you figure out the taste, price, quantity, and some of the other things, you’ll be on your way to a better lifestyle I hope. Feel free to share this guide with friends, family, and anyone who it can be of use to. Thank you for reading, and I appreciate your time.